Video clip synopsis – An estimated 100,000 people worked on the Scheme between 1949 and 1974, the year of its completion. Two-thirds of the them were immigrants from over 40 countries around the world. They changed the face of Australian society. Broadband MP4 droughtdefeat_bb.mp4 (5.5MB), suitable for iPods and computer downloads. Defeating the Drought is an excerpt from the documentary The Snowy – A Dream of Growing Up (60 mins) produced in 1989. The Snowy Mountains Scheme remains one of the greatest engineering feats in the world today but behind the story of engineering and construction is the story of the people who built the dream, the story of the people behind the power. An estimated 100,000 people worked on the Scheme between 1949 and 1974, the year of its completion. Two-thirds of the them were immigrants from over 40 countries around the world. The Snowy is a story of social, cultural and political change told through the experiences of those who worked on the scheme. A Film Australia National Interest Program. Produced in association with the Australian Broadcasting Corporation. 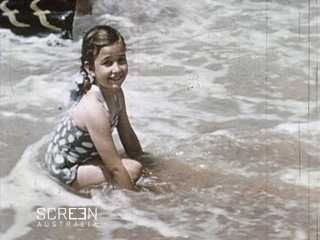 Archive footage in this video clip is Copyright Commonwealth of Australia. Reproduced with permission of Snowy Hydro Limited under licence from National Archives of Australia. How have the rights and freedoms of migrants in Australia changed during the post-war period? During the 20 years of the Snowy Mountains Scheme migration from Europe changed the face of Australian society. This was nowhere more apparent than in the towns of the southern highlands which became a microcosm of an increasingly multicultural Australia. The life and work of the ‘pioneers’ who delved the tunnels and dammed the rivers was often lonely and dangerous. The introduction of a construction company from USA challenged traditional Australian work practices but American efficiency and speed brought a significant toll in worker deaths and injuries. The American overseers also brought cultural influences with them that reflected an increasing impact of globalisation on Australia. By the time the Snowy Mountain Scheme was opened Australia was a much changed society and economy. Note the description of Australia and Australians in the 1940s. Note the plans the Labor government made for Australia. Note the elements of Labor’s ‘vision’. Note how the government intended this to happen. Note the details of the Snowy Mountains Scheme. Note the label used for the generation born 1949 – 1974. Implications? What impact has the water provided by the Snowy Scheme had on Australia? What impact has the electricity provided by the Snowy Scheme had on Australia? What influences have changed Australian society since the late 1940s? Write a report on the Snowy Mountains Scheme. To what extent has Australia become an industrial nation since the Snowy Scheme was launched? What impact did the workers on the Snowy Mountains Scheme have on Australia?